Now you can learn astrology online with Arik Xander. Learn all the secrets of dash™ astrology that they don't want you to know about! When we say the purpose of Astrology is to overcome its influences, we essentially say that Astrology is a tool to create your reality as you intend. Astrolochi is not Astrology as it is commonly known. It is a spiritual system which explains the secrets of the universe and how to manifest your intentions without getting blocked in the process. As everything is space and time bound, Astrolochi explains the science and mystical physics that govern our lower and upper worlds. If you have been struggling with making changes in your life, it could be that your efforts have been going into the wrong direction. With awareness and a bit of redirection, massive change can be yours. Of course, when we say change, it is only for the good, better, and beautiful. Astrolochi is not "just" Astrology. Astrolochi is a system of wisdom which explains the spiritual laws of the universe. If you want to get understand how the universe works and how to create the life you want, then this training is for you. This is a unique opportunity to learn all my secrets and techniques of astrolochi, which can be used in your personal life, for your family, friends, and loved ones or for anyone looking to incorporate astrological healing into their work, practice or tools for healing. Watch Classes at any time, so you'll never miss anything. Cancel at any time, there are no contacts or fees to dropout. Money problems? Contact me for weekly payments or sponsorship. Students under 26 get 50% off. Anyone under 15 is free. Watch the First Class for Free. Learn about the 4 elements that make up the world. In this level, you will learn about the chi of each element and how they come together to form the archetypes and our world. Each element will be taught about in depth so that you may easily recognize its manifestation in a chart and in the world. Each week will be a journey into an element, closing on the last week where we review and synthesize them all. This level teaches about the 4 angles, or directions, in a birth chart and introduces the house system of astrolochi. Each angle will be explained in depth: how they stand on their own, how they relate to and build from each other. Going in deeper meanings of the 12 houses of an astrological chart. These houses represent the various realities where the archetypal energies can manifest. Each house needs to be explained in depth so that you can easily interpret and provide practical examples of astrological manifestation. 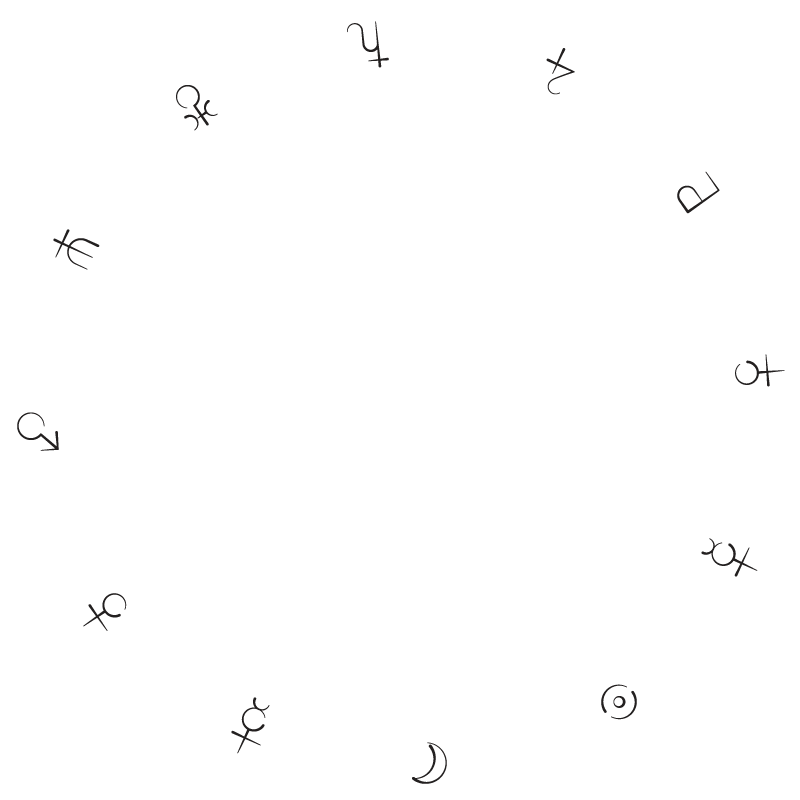 The 12 static archetypes of astrolochi are known as the zodiac. This level will teach you about each of the archetypes on all the levels they manifest in our world. We will work with an archetype every week so that you can really get to know them from the inside out. These twelve archetypes represent a journey, which we travel every year. The 10 dynamic archetypes of astrolochi are known as the planets. These archetypes are constantly on the move visiting various parts of the chart throughout the year. The only thing that is predictable about them is when and where they will be. You will learn how to interpret their presence in each of the zodiac archetypes and understand the gifts and challenges they present. We will work with each of the archetypes for a week at a time. €50 per class or €440 for the entire level. As the planets move, they make relationships to each other and other parts of the astrological chart. This level will teach about the archetypal meaning behind each aspect and what it means. Deep and ordinary examples will be given for a broad spectrum of understanding. Astrolochi™ uses a very specific system of aspects, which will be studied and lived with one week at a time. €50 per class or €400 for the entire level. Learn how to cast forecasts and foresee the challenges and opportunities ahead in any birth chart. We will also go over the different types of charts such as progressions, transits and returns. These are important charts to reference only once the birth chart is understood and interpreted. Here you will learn my secrets to getting the bigger picture on what is occuring in a chart as I usually read 3 charts at a time. €50 per class or €240 for the entire level. This is an introductory level into the world of astrological healing. Learn how to read the wellness in a chart, and how the energy is manifesting. Astrological wellness is the ultimate tool to understanding the root cause of dis ease. This level is a great compliment to students who have learned dash healing techniques. Can I join in the middle of a level? Do I need to pay all the levels at once to get the prepayment? No, you just need to pay each level in full to get the discounted rate and learn astrology online.